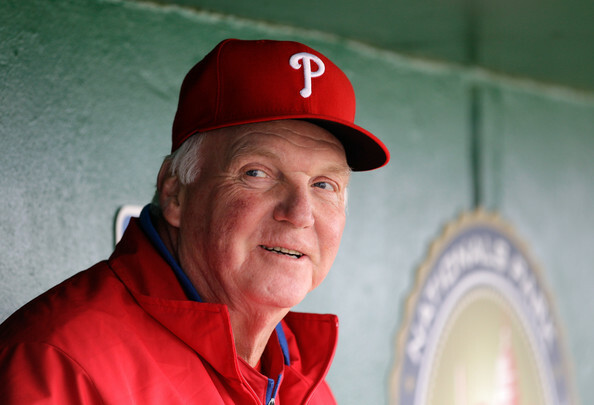 TOKYO (Kyodo) -- Although it's been 34 years since he last played in Japan, longtime major league manager Charlie Manuel remembers his six seasons here as a defining part of his life in baseball. "Without a doubt, Japan made me a better player because it made me more dedicated," the former manager of the Cleveland Indians and Philadelphia Phillies told Kyodo News at this month's baseball winter meetings in Nashville, Tennessee. "It (Japan) taught me that there were more people in the world than Charlie Manuel. It taught me to respect that there were other people around me." Although he witnessed some of Japan's biggest stars when Sadaharu Oh and Shigeo Nagashima traveled to the United States during spring training visits in the early 1970s, like many American players of his generation he was unprepared for the quality of Japan's game. "Japanese baseball, when I used to look at it when I was a player, I didn't give it enough credit," Manuel said. "I thought major league baseball was so much more advanced, but when I came back here in the States, and I started working and I started managing in the minor leagues and stuff, I came to realize how good Japanese baseball really was." In Japan, he played for one pennant winner in each league, in 1978 with the Central League's Yakult Swallows, and in 1980 with the Pacific League's Kintetsu Buffaloes. Now 71, he said the lessons instilled in him about discipline and work ethic were vital when he landed a minor league managing job two years after leaving Nippon Professional Baseball in 1981 with a .303 career batting average, 189 home runs. "I had to really learn to hit there," Manuel said. "I saw better command, even more than when I played at the major league level. When I first went to Japan, the pitchers had better command of the strike zone. They threw a lot of secondary pitches. There were hard throwers in Japan. People don't realize that, but as a whole, the majority of pitchers pitched backwards, they'd utilize the strike zone by starting you slow and finishing you off hard and things like that." "The strike zone was a little different but you've got to learn that. I liked it right from the start -- and I didn't do too good at the start. Later on, when I learned to play there, I slowed myself down and I really concentrated on playing baseball." Midway through his first season, Swallows head coach Tatsuro Hirooka was appointed manager and created a new culture at Jingu Stadium. Hirooka, who managed four pennant winners in 7-1/2 seasons as skipper of the Swallows and Seibu Lions, was famous for his demanding ways and attention to detail. "He was hard," Manuel said. "He expected a lot out of American players. It took me a while to get to know him. I didn't really realize it till later on, but to me Hirooka was a perfectionist. He was always giving me credit for being a good hitter, but he thought my defense and things like that..."
"Hirooka was a guy who wanted you to make limited mistakes and he wanted everyone on his team to be a perfect player, which was a good way. That's very demanding, but it's also a great way to produce a winner. Excellence and mastering the game will produce success and that's how you stay good for a long time." And Manuel knows a thing or two about sustained success, having managed five division champions with two World Series appearances and one Series championship. "I think the work ethic and the training part and the discipline part...made me a better player, and it made me feel better about myself," he said. "When I have a player like (former Phillies) Chase Utley or Roy Halladay, their work ethic and their dedication and their conditioning means so much to them because they think they're stronger and better. It gives them more confidence in everything they do." "I didn't realize it at the time, but that's what the Japanese produced in me."